Below is important last minute information about the events in Lansing tomorrow, Monday, May 21st! 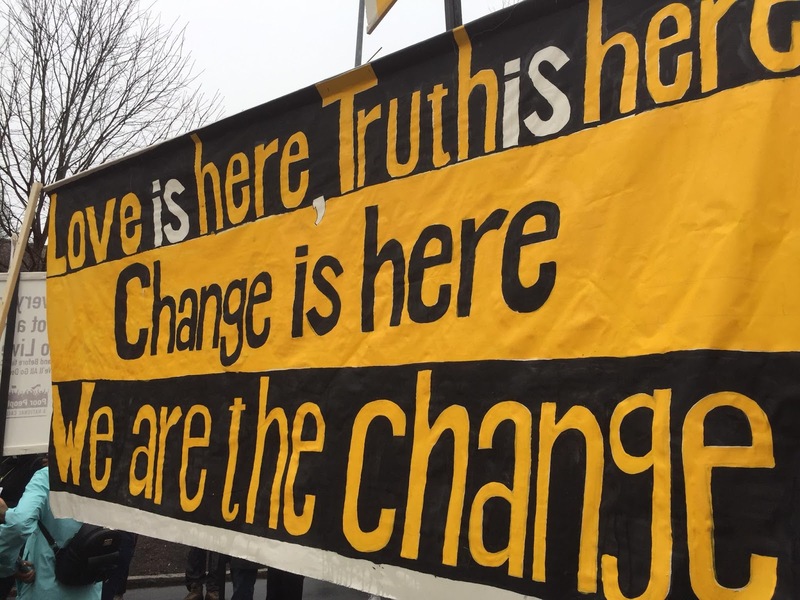 Thank you for pledging your support for the Poor People's Campaign: A National Call for Moral Revival. Our first action on Monday, May 14 was a great success with a large turnout; on Monday, May 21, we are counting on you to make this action even larger! 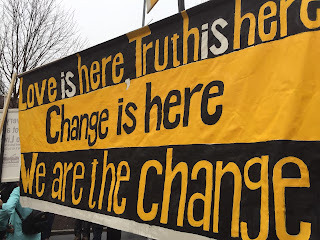 Those who are participating in Non-Violent Moral Fusion Direct Action AND have been previously trained for the Direct Action, along with their support person, must arrive at First Presbyterian by 11:00. LUNCH - Bring a bag lunch if you can; light lunch food will also be provided. Please bring monetary donations and food to share - boxes of single serve bags of chips, granola bars or other snacks, bags of apples/oranges/bananas. WATER- Bottled water is banned from this event. Please bring a refillable water bottle with you. We will have water coolers for you to refill your bottle onsite. A limited number of disposable cups will be available. ACCESSIBILITY- First Presbyterian Church is fully accessible. Our march will be about 6 long blocks each way. Limited shuttle service to the rally location will be available for those that need it. Please bring a folding/bag chair if possible for yourself or to share at the outside rally. WEATHER- Prepare for Michigan Weather: sunscreen, hats and rain gear. DONATIONS- Financial donations can be made directly on Monday or at other events. Checks payable to People’s Water Board - In the memo line, be sure to write MI PPC. Checks can also be mailed to People's Water Board c/o EMEAC4605 Cass Ave Detroit, MI 48201. We need your participation and those of your family, friends, faith communities and supportive organizations, this week and in the future. Come join us every day you are able! We are grateful for your support and look forward to Moving Forward Together and Not One Step Back!